Everyone is going separate ways today, but my beloved and I managed to take a little time out to ride for coffee before he heads out of town later today. 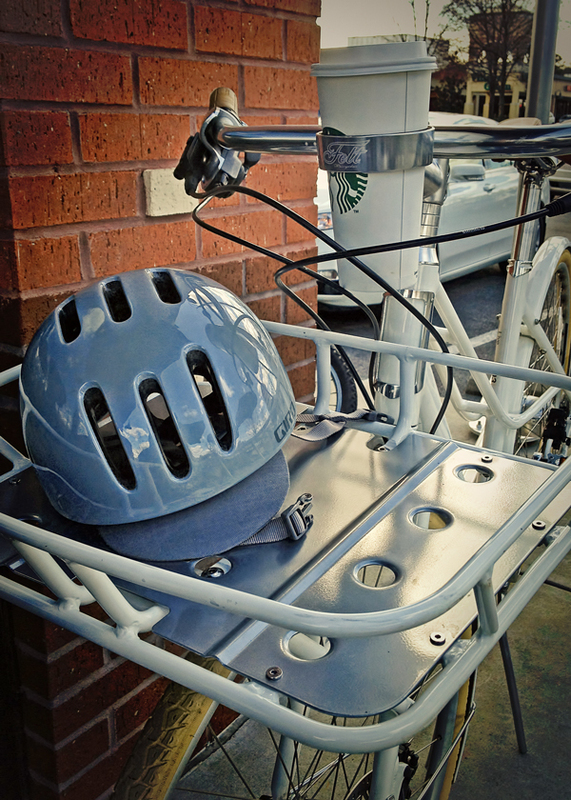 Utilitaire checkpoint #2: coffeeneuring. Once again a traverse through town on the Greenway, and for whatever reason, I am always compelled to stop on this bridge. I want to start keeping a tally. 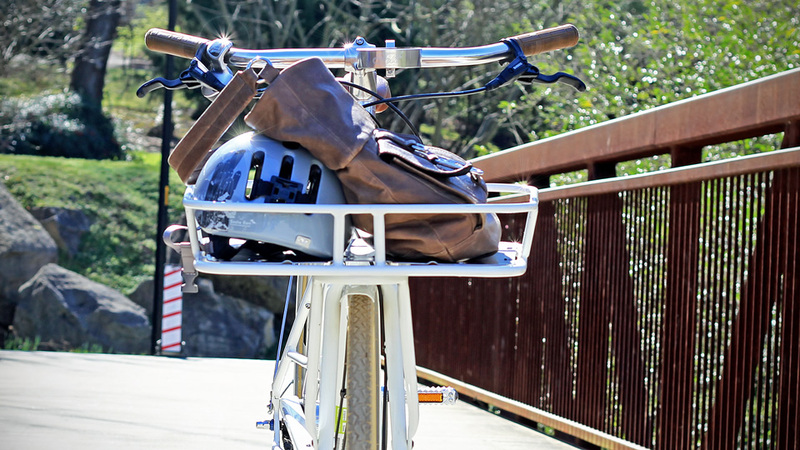 There are other bridges, other underpasses, other places I ride through and across as often, or more frequently, than this bridge… but I always consciously think about this location, this bridge, whenever I cross it. I have no idea why. As for coffee – I know that Starbucks often gets a bad rap. Yeah, it’s not some trendy local roaster, I can’t get a latte with a picture created in the froth, but it’s really about the only game in town. I tend to avoid the Inman Street Coffee House run by the Salvation Army, because I have a personal aversion to the big screen tv’s they have hanging on the walls playing Fox News, and I take issue with some of the national organization’s position statements. Sorry, Tim (and the other kids who work there). 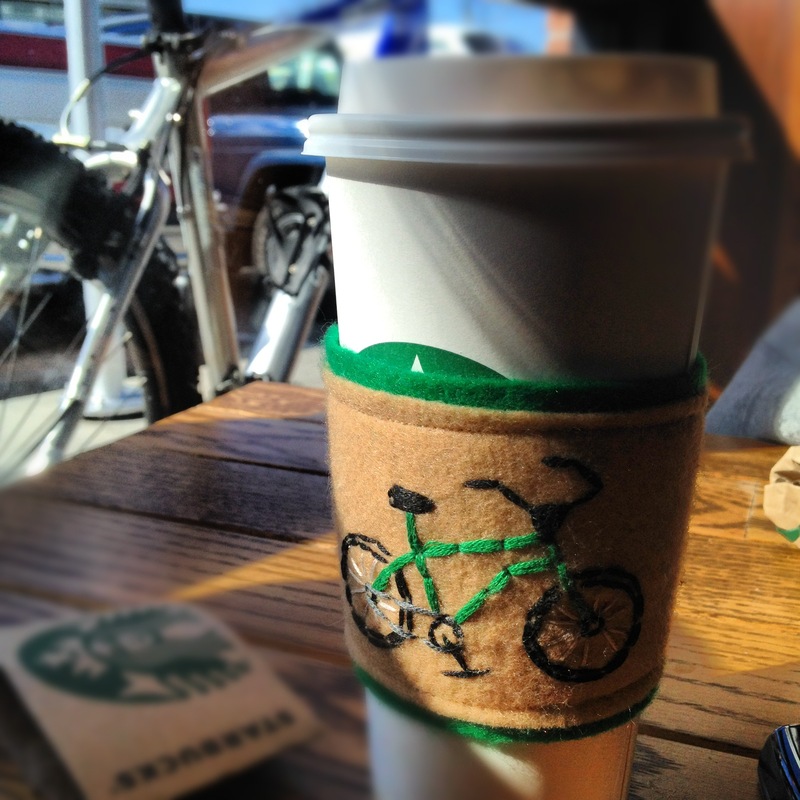 At Starbucks, I am always greeted with a smile and treated very well by the barristas I have come to know, I’d rather listen to music than blaring tv’s, I’ve made a few friends here (both cyclists and non-) and truthfully, they manage to make the best skinny vanilla latte in the neighborhood. 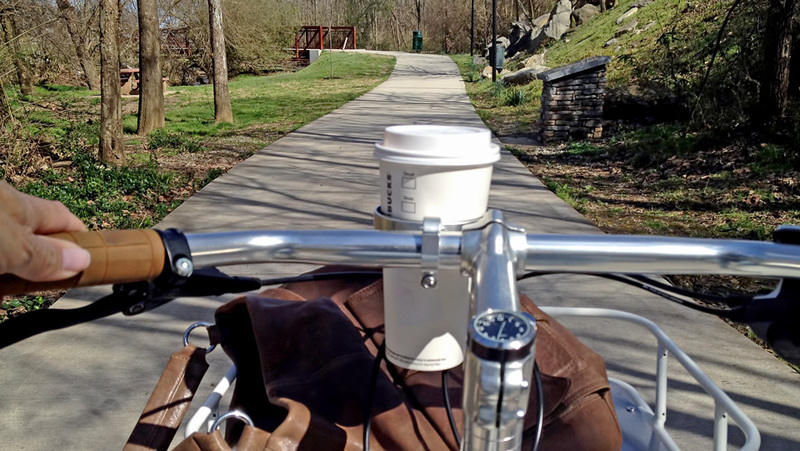 Not to mention, it’s a convenient ride off of the Greenway. Rode back, no time for trip-chaining today unfortunately. Time to get on with the other stuff. Sigh.